"he is a phenomenally hard worker. Every point is taken, and he doesn't miss anything"
Bruce Silvester is an accomplished personal injury, health and safety, and clinical negligence litigation practitioner who is also highly regarded for his practice in travel litigation. He regularly appears for claimants and also defendants in the High Court as well as providing advisory and mediation services. He has particular expertise in the field of catastrophic injuries including brain, spine, multiple injuries and also group litigation. Recommended as a leading junior for Personal Injury and Travel in Chambers UK. ... is viewed as "highly effective, forthright and aggressive." Examples of his work include acting for a group of claimants in a case stemming from widespread illness in a hotel following a flooding. He also handled another group action relating to an outbreak of cryptosporidium infections. Ranked in Chambers UK as a prominent junior, and in Tier 1 by Legal 500 2017, Bruce undertakes all aspects of personal injury, health and safety and clinical negligence work and regularly appears for both claimant and defendant in the High Court. He is instructed as lone and led junior in matters concerning catastrophic injuries, brain and spine, and in multi-party cases. Colin Hudson v. Daniel Brooks - (July 2013) Bruce Silvester was successful in a High Court claim for damages on behalf of a 73 year old man who suffered C7 tetraplegia in an accident in January 2011. At a joint settlement meeting an award was negotiated which included a lump sum of £1,350,000 and a periodical payments order of £180,000 pa for 5 years, with a stepped increase to £200,000 pa thereafter for life, index linked. Bruce Silvester was instructed by Stephen Nye, Irwin Mitchell LLP. Stephen Blow v. Miss Maureen Millard - (QBD 22 May 2013) Successful in a liability trial at the High Court on behalf of a Claimant who suffered severe spinal, pelvic and head injuries, as a result of the collision between his motorcycle and the Defendant’s vehicle. McCarrick v. Park Resorts Ltd -  EWHC B27 (QB) Successful in a liability trial at the High Court on behalf of a Claimant who suffered very serious spinal injuries resulting in complete tetraplegia. Mark Barnes v. Scout Association  EWCA Civ 1476 – CA upholds judge’s finding of liability in negligence following an injury sustained during the course of a dangerous game played in the dark in the Scout Hall. CA found that the judge properly took into account the ‘social value of the activity’. Maidment v. Allison Martin -  serious back injury claim arising from a road traffic accident. Case involving a prominent claimant at the Bar, following serious injuries suffered in a road traffic accident. Nicholson v. Willis  QBD Butterfield J – Hypoxic brain damage – settlement of £4.7m approved. Strickland v. Hertfordshire County Council  EWHC 287 (QBD Eady J) – summary judgment refused on the basis that the tort of malicious prosecution could not be extended to civil proceedings. Scott Clift v. Hawes & Others (1999; CA; Gibson, Sedley and Stoughton LJJ) – A multiple accident on dual carriageway - a tortfeasor is not entitled to assume that other road users will exercise a proper degree of care. If their conduct was within the band of foreseeability, the tortfeasor will be liable for the consequences. 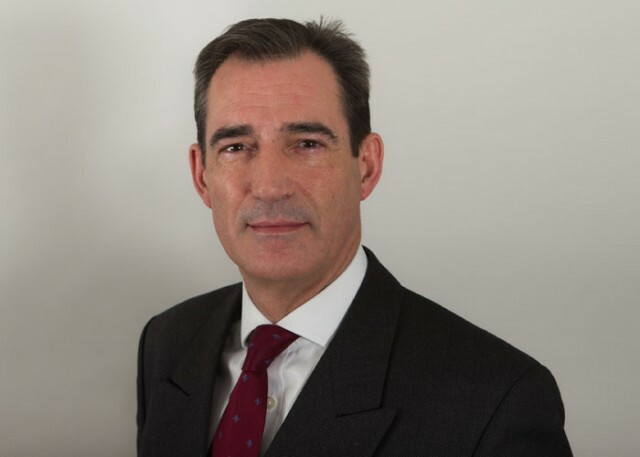 Bruce lectures extensively in the field of Personal Injury litigation at professionally organised conferences: Euroform, Butterworths and Lloyds of London and Legal Network Television, as well as providing seminars as part of the in-house training programs of a number of firms of solicitors. Bruce Silvester is a well-known international personal injury specialist who has been ranked in Chambers UK for a number of years. He appears on behalf of claimants and Defendant Note in both single and multi-party matters, providing the full range of advocacy, advisory and mediation expertise in this complex area of law. Bruce has over 20 years experience in all aspects of clinical negligence. Bruce is a member of the PNBA and regularly attends the two day Clinical Negligence conference/residential seminar in Oxford. Bruce is known for his tenacity and his ability to win the most difficult of cases.